Purple Distressed Trucker Hat with "Weekend Vibes "
This is a fun and unique baseball trucker cap. Very trendy style for every day not just the weekend! Light Khaki Distressed Trucker Hat with "Blessed"
This is a fun and unique baseball trucker cap. Very trendy style for this season. 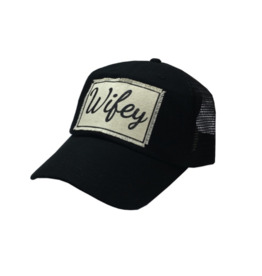 One of our favorite hats! 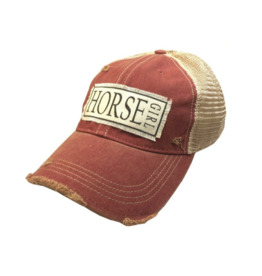 Dark Green Distressed Trucker Hat with "Horse Girl "
Navy Blue Distressed Trucker Hat with "Love My Tribe"
Black Distressed Trucker Hat with "Local"
Red Plaid Distressed Trucker Hat with "Classy But I Cuss A Little "
Coral Distressed Trucker Hat with "Salty"
Red Distressed Trucker Hat with "American Girl"
This is a fun and unique baseball trucker cap. A great hat for the summer! Dark Red Distressed Trucker Hat with "Horse Girl"
Blue Denim Distressed Trucker Hat with "Thankful Grateful Blessed"
Coral Non-Distressed Trucker Hat with "I'll Bring the Bad Decisions "
Royal Blue Distressed Trucker Hat with "Bite Me"
Black Non-Distressed Trucker Hat with "Wifey"
This is a fun and unique baseball trucker cap. A great bridal shower gift!